In an interview with KSL, Christoffer Gorham and Daryn Tufts talk about their upcoming film We Love You, Sally Carmichael. They describe it as a family-friendly, independent comedy about a novelist, Simon Hayes, who wrote a young adult fantasy-romance series under the alias, Sally Carmichael. The series became hugely popular, and so everyone loves Sally, similar to how people loved JK Rowling during the Harry Potter craze. The only problem is that Simon hates the novels he wrote, and he does not want anyone to find out that he’s Sally. However, when he is forced to go meet the actor who wants to play the main character in the films, his worst fears begin to unfold. We Love You, Sally Carmichael was shot all over Utah: Salt Lake City, Provo, American Fork, Park City, and all over. 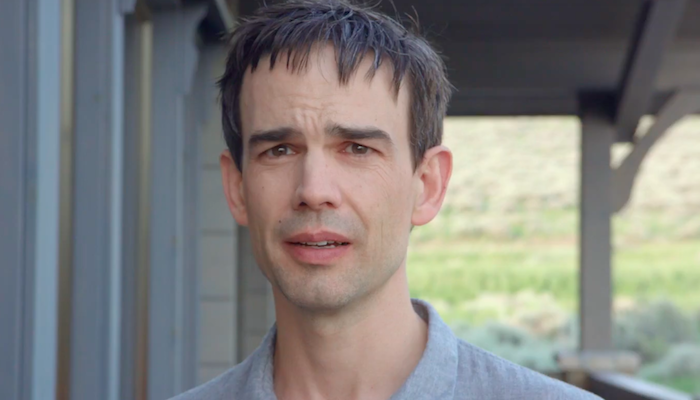 The director, Christopher Gorham, calls this film his “love letter to Utah” because Utah is where he started his career. Because the film takes place in Utah, it will also have many guest appearances by Utah actors and Mormon actors, many of whom Utahns will recognize. Gorham, the director, happens to play the main character, Simon. Although Gorham is not LDS, Mormon’s might recognize him from the film The Other Side of Heaven where he played Elder John H. Groberg, an LDS missionary called to serve in Tonga. Gorham has a lot of directing experience, but this is the very first full-length movie that he has directed. We Love You, Sally Carmichael was created in partnership with Purdie Distribution, which has also produced LDS films such as Once I Was a Beehive, Love Kennedy, The Saratov Approach, and Meet the Mormons. The film will make it’s debut in Utah theaters on August 4th for a limited time. Click below to see the interview and a few sneak peeks of the film. Inspiring LDS Film “Love, Kennedy” Comes Out Today Studio C Announces 3 New Cast Members One Voice Children’s Choir Covers “Something Just Like This” Cedar Breaks Releases “Ayre” Music Video Lindsey Stirling Is Creating her Own Comic Book?